McAllen Locksmith Pros: 24/7 Transponder Car Keys Service in McAllen, Texas, and its surroundings. Call us today for more details. What Are Transponder Car Keys? Almost every model of the car makes transponder car keys for their vehicle. These keys are equipped with a small microchip that makes it possible to turn on the ignition and unlock the doors. It has the technology the powers a transponder and detects radio waves after the push button is pressed. Who says the transponder car keys are difficult to fix? The transponder car keys are encased in strong plastic, but if the case is cracked, the chips inside might get damaged. In this type of cases, our trained locksmiths investigate the exact damage and repair it. But if the key blade is damaged, our trained locksmith will cut and repair it with the effective procedures. Is your transponder key lost or stolen? Well, our 24/7 automotive locksmiths will offer you a quick replacement so that your overall security does not have to suffer. With our state of art technology, tools, and equipment, we help you with the transponder keys in a timely manner. Moreover, the techniques that we use for the transponder replacement are quite cost-friendly, so even the proper replacement is also not going to cost you a fortune. Irrespective of the time of the day and location, we also provide you with every emergency transponder services. Our highly trained experts are experienced in all the aspects of the locksmith industry and will offer you both automotive keys and locks services. Why Choose McAllen Locksmith Pros For Transponder Car Keys Service? Always take care that you are not using your key for anything other than the intended use. If still, the problem occurs with your transponder car keys, contact us today! Though the transponder key has a tough housing, here are the quick tips to protect your keys. To protect it from severe damage, always keep the key on the sturdy counter. Don’t keep it around the heavy items as the housing may chip after the heavy object drops on it. Do In need to program my transponder car keys? Programming simply depends on your requirements. If you want your key to work in the ignition of your car then you must program it. Is there a chance that I will have to purchase a new key? No. But in the case, when the case breaks or your program gets disrupted, you will have to buy a new key or get it replaced by our dealer. Can I program my transponder key myself? Yes, there are instances when you program your transponder keys yourself. Depending on the type of car, it will take two keys that will help you with its programming. But rather than doing it by yourself or putting your keys to risk, we recommend that you should take help of a professional locksmith. 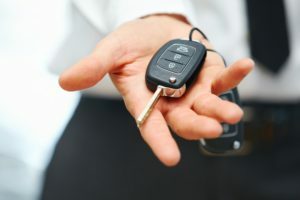 Quick and Professional Transponder Car Keys Services https://locksmithmcallen.com/automotive/transponder-car-keys/ 4.3/5 based upon 12 reviews.